Capacity provisioning will be faster, flexibility will be increased, and access to a broad ecosystem of tools and services should be made simpler, the company claims. 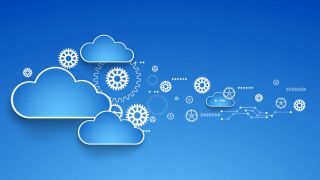 Twitter is teaming up with Google to move both cold storage and Hadoop clusters to the Google Cloud Platform, the two companies announced this Friday. In a blog post written by Twitter’s CTO, Parag Agrawal, it was said that this move will allow Twitter’s engineering team to focus on improving productivity and tackling tasks of a higher level and priority. “There is strong alignment with Twitter’s engineering strategy to meet the demands of its platform and the services Google Cloud offers at a global scale,” the blog post quotes Brian Stevens. Once the migration is complete, Agrawal says, capacity provisioning will be faster, flexibility will be increased, and access to a broad ecosystem of tools and services should be made simpler. Security will be improved, as well as disaster recovery capabilities. “Architecturally, we will also be able to separate compute and storage for this class of Hadoop workloads, which has a number of long-term scaling and operational benefits,” he writes.